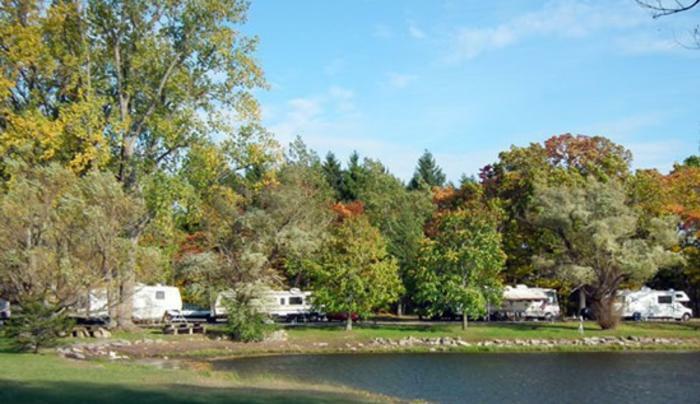 80 acre private camping resort. 2 heated pools, 275 sites and 9 cabins. 2 lakes, fishing, canoes, activitiy center, laundry and security. 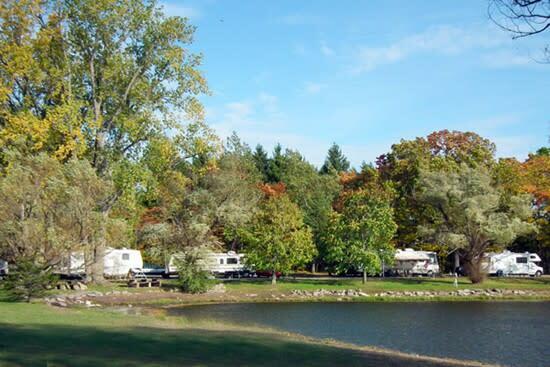 Ask about 3 day 2 nights free camping!